Are you looking to have a retreat where you can learn practical ways to overcome your fear of Evangelism? 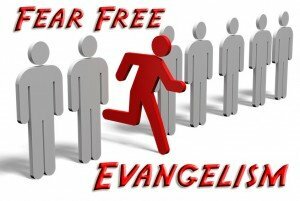 Do your evangelism efforts get swallowed up in fear so that you very seldom talk about your faith? We’ll do the speaking and training at your event. What if discussing your faith was a normal, everyday thing? The typical retreat schedule begins around 7pm on Friday night and runs through noon on Sunday. Friday night: Motivation for Evangelism. Saturday Morning Part I: The Role of the Holy Spirit. Saturday Morning Part II: Listening to the Holy Spirit. Sunday Morning: Praying and Next Steps. the excitement you have for evangelism. to tell others of His love for them. — C. Pratt, Branson MO, October 2007. The typical retreat cost is $2100 for the full time. Host is expected to cover the travel expenses. Some groups will collect an offering, or charge a registration fee to the individuals to help distribute the cost.